Byton’s long-range electric SUV is jam-packed with the technology CES dreams are made of. Another year at CES, another snazzy new electric-vehicle launch. Another startup looking to revolutionize mobility -- and another potential disappointment. At the past two Consumer Electronics Shows, Faraday Future held hyped-up and high-production-value vehicle launches the day before the conference. Last year featured flowing cocktails and a drag race between an FF 91 and the Tesla Model S. But since then, the electric-car company has struggled to raise money and to bring a vehicle to market. Byton’s unveiling, by comparison, was more down to earth. 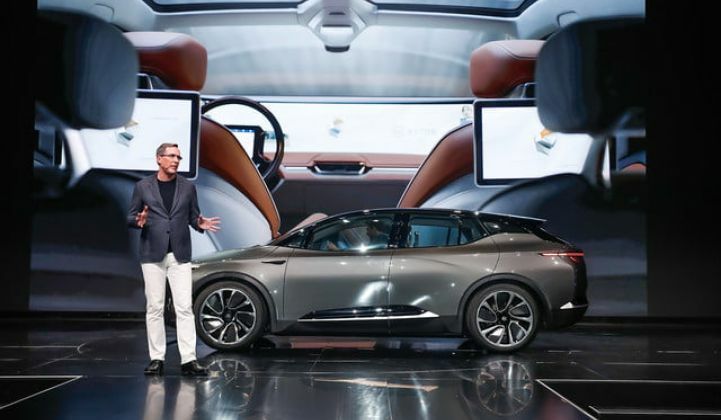 The all-electric SUV was driven on stage at the Mandalay Bay Convention Center by Byton CEO and co-founder Carsten Breitfeld, a 20-year BMW veteran who previously oversaw the i8 program, along with President and co-founder Daniel Kirchert, the former head of Infiniti China operations for Nissan Motors. There were lights and music, but no gimmicks -- just three cars on display and a presentation, followed by a Q&A session with the media. But while the event was relatively modest, Byton’s founders made no secret of their bold ambitions -- the likes of which we’ve heard before. “We’re radically transforming the very concept of driving,” said Breitfeld, who helped launch the Chinese startup company just two years ago. Byton's SUV is “tailor-made for the future” and a “new era of mobility,” he said. And it's coming to market in 2019. 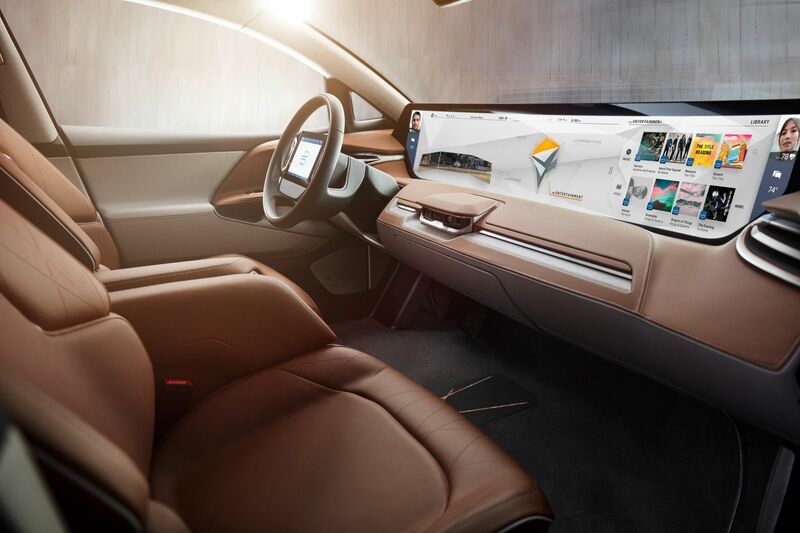 Byton’s sleek, long-range electric SUV is jam-packed with technology to enable the connected, shared and autonomous driving experience that CES dreams are made of. The Byton EV is designed to be a smartphone on wheels, equipped with communication, entertainment, work, navigation and even health information so that you “never feel like you have to put your life on hold” while in the car. It’s also made to feel like a living room, with a spacious interior, no center console and front seats that are designed to swivel and face the rear in anticipation of fully autonomous driving. Underpinning all of that is Byton’s uniquely developed EV technology. The rear-drive base model -- with a starting price of $45,000 -- will come with a 71-kilowatt-hour battery and a 250-mile range. The higher-end version, the price for which was not revealed, will have all-wheel drive, a 95-kilowatt-hour battery and 325 miles of range. “Our car is the first-ever affordable EV that fills the requirement as the first car in every household,” Breitfeld said. The Byton EV platform, which will serve as the base for all of the company’s vehicles, is equipped to allow fast charging of up to 150 miles in 20 minutes, or 80 percent of charge in 30 minutes. But the wattage required was not disclosed. The company has yet to reveal its battery suppliers, but said that one of them will be Chinese. The very first models -- available in 2019 -- will come equipped with sensors capable of performing Level 3 autonomous driving. Like Tesla, Byton will offer software upgrades to its cars “over the air.” In a twist, execs said the car is also designed for hardware upgrades, including the ability to swap out the vehicle battery or install a new sensor pack that enables full autonomy. The EV will be manufactured at Byton’s roughly $1 billion production facility that’s currently under construction in Nanjing, China. The company plans to launch two other vehicles -- a sedan and seven-seater multipurpose vehicle -- by 2022. Those vehicles will adopt the same fundamental platform as the SUV. These are big promises, especially from a company that only recently emerged from obscurity. Manufacturing in China is central to Byton’s strategy. The SUV prototypes are currently being “hand-built” at a facility in Munich, Germany. 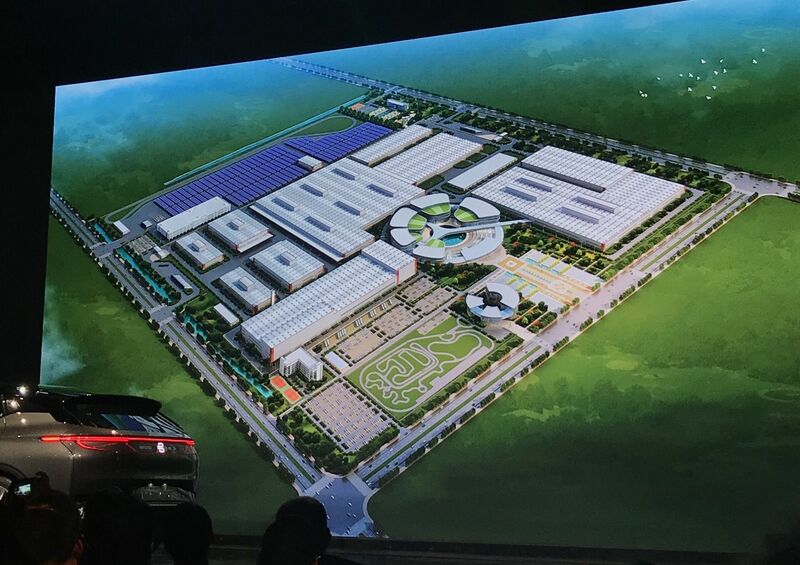 But production will shift to Nanjing as soon as the first factory building is complete. “We were very much convinced that the future of mobility will be shaped in China,” said Breitfeld, in a followup Q&A with the media. The intention was always to create a company deeply rooted in China, not only because of the country’s manufacturing capabilities, but also because it’s the world’s fastest-growing vehicle market. What’s more, China has money: “There are people in China willing to take a leap on the right idea,” Breitfeld added. Byton has obtained the necessary permits to build a factory in China, but is still waiting on a license to sell vehicles there. The more difficult challenge may prove to be selling Chinese-made and Chinese-financed cars to consumers in America. "We never underestimate traditional car companies"
Arguably the most ambitious aspect of Byton's plan is its timeline. The company intends to launch its electric SUV in China by 2019, and in Europe and the U.S. by 2020 -- giving the company a rapid three-year cycle time. Yesterday, the startup unveiled a working prototype, which is a significant achievement by any standard. And to prove that it’s the real deal, the company is even offering test-drives this week. 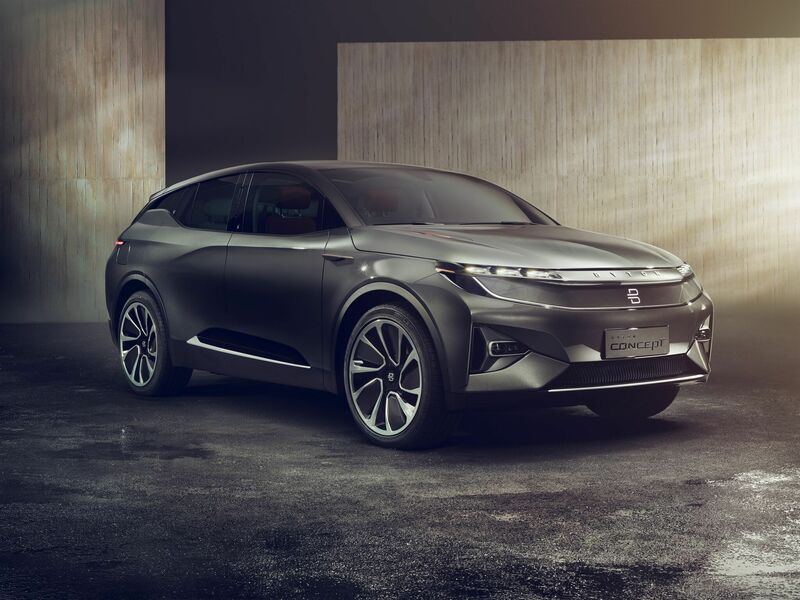 Bringing on board Benoit Jacob, BMW i’s former head of design, helped to make the prototype possible within the two years since Byton launched. But getting a product to market, even at small scale, is an enormous challenge -- as Fisker and Faraday can attest. When asked how Byton plans to avoid a similar fate, the founders pointed to the talent they’ve been able to attract from BMW, Nissan, Tesla, Apple and elsewhere (including Faraday Future), as well as strategic partnerships with established automotive suppliers Bosch and Fauracia. They also pointed to strong financial relationships, having raised $320 million in a seed round and Series A last year, with backing from Tencent Holdings. The startup, which currently employes 400 people around the world, has also received several loans in China to support setup of its Nanjing factory, but did not disclose their total amount. With another, larger round expected to close in the middle of this year, “We’re in a good situation to realize our car in 2019,” said Kirchert during the Q&A following the launch event. He added that the company could break even "three to five years" after the crossover launches, which is aggressive to say the least. The company has kept a low profile over the past 18 months in order to make its intelligent electric SUV a reality. “We wanted to have the product speak for itself and have everyone [be able to] see and touch the product,” Kirchert said. On that front, Byton has delivered, but there’s no denying the company has a long way to go. Byton now has to firm up its designs, secure suppliers, finish raising money, complete construction of a factory, and get production up and running, all while trying to avoid the kind of hiccups Tesla has run into. Next, the company will have to go through all of the standard safety testing while also setting up sales channels. The online reservation platform is now live, and sales will continue via the web. But Byton is also looking to launch branded stores, alone and with partners, to give customers direct contact with the vehicles.